Will you join with us in God's work in India? 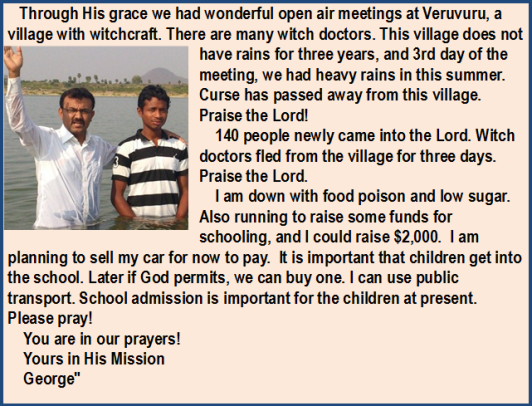 Please consider becoming a partner with Pastor George and Helping Hands India today. We now have 70 partners with New Hope for Children ministry. We are praying that God will bring us 230 more individuals and families who will be the "Sword of the Lord" in India! You can read more about Helping Hands India and New Hope Orphanages here.